CrossFit is constantly varied, but your nutrition shouldn’t be. The way you fuel up for a training session in CrossFit is going to determine how that workout goes. Putting yourself in situations where you’ve prepared for your workout provides the raw materials for your performance and recovery. 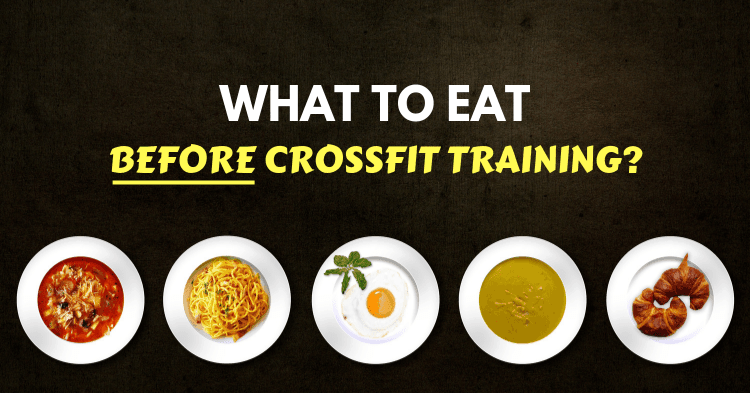 Today we’re going to discuss what you should eat before CrossFit training, the ideal foods, and some tips that can go a long way towards improving your performance with a few simple tweaks to your routine! Different meals should have a different focus: your needs in the morning are not going to be the same as your needs in the middle of the day. We’re going to discuss what you should eat and when, since your training times might not always be the same and you need to know how to adapt on the fly. Breakfast isn’t the most important meal of the day, but it does set you up for the morning and provide you with a great place to start. It provides a behavioral standard. You have made this one choice that supports your goals and that can be a powerful habit to get into. It determines when you’re going to feel hungry next, what cravings you’re going to experience, and how you’re going to plan out your nutrition for the first half of the day. Getting breakfast right is both simple and effective. If you’re working out first thing in the morning, then you should default to the guidelines we provide below on “ideal foods” for pre-workout nutrition. These offer carbohydrates in a balanced way – but you should also add proteins to them. This is an important theme: breakfast requires a high protein intake to start the day off right, as well as certain amino acids that are great for both mood and cognition. 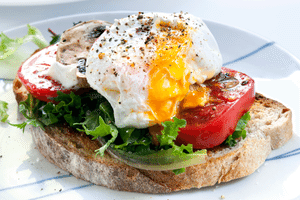 This is one of the reasons why eggs – a high-protein, high-Tyrosine, high-choline food – are so popular for breakfast. If you’re not training in the morning, we recommend a combination of protein and fats, with a moderate amount of slow-digesting carbohydrates. One great example is wholemeal toast with fried or scrambled eggs. 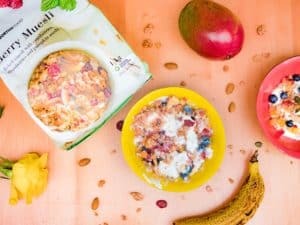 This is a classic breakfast because it provides an almost-perfect balance – add in some vegetables or a cup of fruit to-go and you’re ready for the day. If you’ve already eaten breakfast and you’re training in the mid-morning or around noon, you’re not going to need a huge meal, so you can focus on a meal that is dedicated to fuelling your workout and nothing else. This is a good time to get some carbohydrates and proteins in, while restricting the fats for now. This means a small rice, veg and protein bowl makes a perfect choice, while oatmeal or omelets also offer great choices. 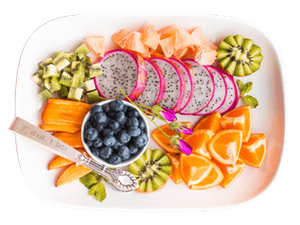 This meal should be light as it will come between breakfast and lunch, so you should be focusing on nutrient quality and providing a high standard for yourself. Try to include sea salt or a higher-electrolyte content as a broth or sauce, optimizing your mineral intake for workouts. Lunch is an opportunity to eat a larger meal and provide plenty of fuel for an afternoon or evening workout. If you’re training any time in the afternoon, this meal may be the last one you have before you’re training – though we do advise getting a snack along the way. Lunch should be a high-carb, high-protein, moderate-fat affair with a stable carb source and plenty of veggies. Look towards noodles, whole-wheat pasta, potatoes, sweet potatoes and other starchy carbs with some fiber to make sure you’re providing regular energy to your muscles. Combining a higher-density carb like potatoes with protein and a high-fiber carb (like cruciferous veggies) is a great way to make this work. Something as simple as potatoes, lean protein, and a whole bunch of veg can provide a high-energy meal for those on a weight-loss diet without leaving you feeling hungry. Feeding for a competition can be tricky, but it shouldn’t differ too much from your day to day feeding/training habits. If you’re competing at a regionals or similar event, you may be performing multiple workouts per day – something that is new to many CrossFit enthusiasts. The same principles apply: you need to provide the same level of carbohydrates and proteins as any other workout, but you’re just going to have to eat more often. The challenges of competition are primarily a rapid turnaround in energy needs and dehydration. Getting plenty of carbs and proteins is key, while also ensuring that you’re consuming adequate fluids. 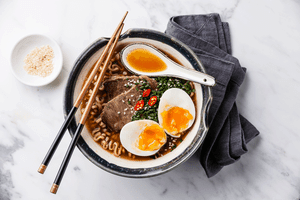 This is another area where eastern Asian food – primarily the donburi (a big bowl of rice, vegetables, and protein) or ramen-type meals – are great options. A high-salt, high-carb, high-protein meal is a great way to get yourself fed up before a comp or when you have a few hours of rest between events. Between workouts or rounds, a mixture of sugar, water, creatine and sea salt can provide a fantastic way to rapidly rehydrate and shuttle carbohydrates to the muscles. This can be a sports drink or a homemade mixture of juice, water, and high-quality sea salt. These ingredients provide all the essential short-term energy you need, which you can supplement with any of the snacks mentioned below. The frequency of feeding is going to make the difference here: eat more often during competition days, rather than relying on bigger meals! This is an absolute classic for pre-workout nutrition. If you eat a medium bowl of oatmeal an hour or two before training, it provides slow-release energy and provides fuel for your training session. 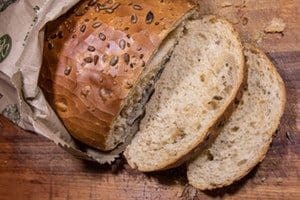 This is also a very stable, digestible carb that doesn’t sit too heavily in your stomach. Muesli is a great balance of fast and slow-absorbing carbs, as well as a variety of fruits, nuts, and other high-quality foods. These provide a mixture of fiber, fats, and carbs that all add up to satisfying, long-lasting energy from healthy sources. Again, a great choice for 1-2 hours before training, but also perfectly balanced for any time of day. This is a classic “clean” approach to pre-workout nutrition. You provide a healthy boost of protein along with high-fiber, high-energy carb sources. This means moderate-speed digestion, plenty of high-quality nutrients, and you can eat this an hour before you exercise since it’s a comfortable meal and doesn’t feel heavy or uncomfortable. This is a great choice for pre-training carbohydrates. Not only it is a high-quality carbohydrate, but it can be paired with almost anything. From peanut butter to avocado to scrambled eggs, the versatility of wholemeal toast is a huge factor and allows you to experiment with your personal favorites. Casserole with beans and/or potatoes are a great choice if you’re going to have to wait a while to train. With at least 2 hours of time until training, casseroles with a protein source and high-quality, slow-digesting carbs from beans can be an amazing choice to keep you fuelled for longer. They provide you with the chance to get in some high-quality carbohydrates with electrolytes, water, and nutrients before training. With broth, veggies, and a high carbohydrate load, these two choices are a great meal around 1.5-2 hours out. Electrolytes are minerals that play a key role in the health and function of your muscles: essential for a hard WOD or Chipper. They are great at all times but look into including a high-vegetable meal before your training session. Whatever you’re eating before training, including veg is going to be the right choice. Starchy vegetables are great an hour or so before training, whereas high-fiber vegetables (like kale or broccoli) can be a great choice if you don’t get to eat close to training. Snacking effectively is one of the best ways to effectively manage your nutrient timing. Whatever you’re eating throughout the day, simple snacks can increase your energy before a training session and provide a boost when you really need it. 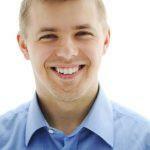 Here are a few simple ideas that we like, and why. Fruit is the obvious place to start. This is the classic healthy option with bananas, apples and oranges providing a mixture of fiber and sugars to ensure that you’re getting carbs before – or even during – your training session. Pick a fruit that you enjoy and eat it on the way to the gym or before your warm-ups, as it will absorb and release within an hour or two. They are a personal favorite. We love that they provide total control over the ingredients and nutrients. 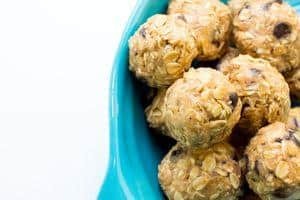 There are dozens of options out there, but something as simple as an oat, cocoa, honey and evaporated milk recipe can provide a great boost of protein and healthy carbs before training. They are becoming popular on the market. Many whole foods or health food stores offer these options for triathletes and other sportspeople to fuel their workouts. They’re a convenient – if expensive – choice when you’re feeling low and need to grab some fuel. Candy bars are not all bad. If you’re going to eat sugars, they’re best consumed before or during training since the carbs are fast-absorbing, improve performance, and are going to be burned up in a short space of time. Pick something that has fruit, nuts, or other slower-digesting elements if possible. If you’re really feeling low, it can be useful to eat during a workout – ideally between exercises. This is a common way that professional, competitive athletes perform at their best for longer during hard workouts. Consuming sugars during a workout has been shown to improve your perception of fatigue, as well as freeing up more energy for use during the workout and ensuring that you’re not entering a catabolic (or protein-breakdown) state. This can be any of the snack foods we mentioned above, or any simple starch/sugar combination you can think of. 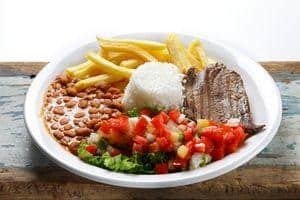 You want to ensure that whatever you’re eating sits comfortably in the stomach (so no oily or excessively-fibrous foods), but otherwise the key point is that you enjoy it and it provides carb-energy for training. The foods you eat post-workout determine your ability to recover and they begin the process of preparing you for your next workout: pre-workout nutrition starts with post-workout nutrition. Protein shakes, mass gainers and a whole variety of other supplements fit into this time slot as a great way to rapidly provide nutrients. The key point of pre-workout nutrition is that you’re being disciplined about the way that you eat and train. This can bring huge changes to your preparedness and results.